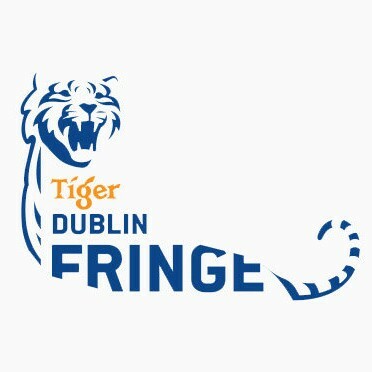 I spent a lot of time over the last few weeks putting together my application and supporting documents for the Tiger Dublin Fringe. This is the first time I’ve submitted an application. Despite being a long-time fan of the Fringe, and working on a few festival shows, I’ve never managed to take the next step and put in an application of my own. I’ve often thought of applying. I have attended many pre-application workshops and information evenings with a small idea that I thought might grow-up to be a Fringe show. But then the meetings would make me nervous – the amount of information, all the different areas you needed to consider, all the things that could go wrong – it just made me what to hide under the bed. And I would let the fear take hold and the application deadline would pass quietly while I stayed hiding under the bed. This year was different. I still had The Fear, I still doubted myself and my own abilities and considered throwing in the towel at least once a day, but I was able to talk myself out of it. I feel ready now. The Collaborations show was a huge confidence boost, but I’ve also spent the last three years learning about the amount of work that goes into putting a show on stage and then getting people in to see it. Despite studying drama for many years, these are all things I learnt after graduation. Since I finish my MA in Galway and moved back to Dublin, I produced a couple of shows in the 2013 Fringe, a week-long show in Smock Alley’s Main Space and a dance theatre piece in the Boy’s School. I also worked on a national tour last year with Singlehood. With all that experience under my belt, I feel much more confident in my abilities to make theatre happen. I’ve had the opportunity to see up-close how shows of different scales, styles and budgets are put together, where the money goes and different ways to sell tickets. I’ve learnt something from every single job. Helping other people is a great way to learn and get experience. I definitely recommend it for anyone who wants to make theatre but doesn’t feel ready yet. Producers are always in demand, particularly around Fringe time. It’s a job that requires good organisation and communication skills, and a good dollop of cop-on. You will undoubtedly feel like you are making it up as you go along – don’t worry, so is everyone else! Signing up for the Fringe’s willing workers list is a good place to start, or just approach theatre companies that you would like to work for and tell them what you have to offer. I have no idea if my application will be successful but I enjoyed putting it together and thinking about this show that I want to make, and I’m very happy that I finally took the plunge and applied for the Fringe Festival! I spent the second half of 2014 working on UMCK Productions’ tour of Singlehood. I’d worked with director Una McKevitt before, on Moving City with Maeve Higgins and on a week of development for Long Day’s Journey into Night. I’d also seen Singlehood in the Dublin Fringe Festival in 2012 and really enjoyed the show. I was thrilled to get the job. It was a much bigger show than anything else I’d worked on before – bigger cast, bigger venues, bigger budget. It was really exciting. When I came onboard, the tour had already been set up which meant splits and guarantees had been negotiated and funding had been obtained. We had money and part of my job to manage that money and stretch it as far as it would go. It was my first time working on a touring show but I was working with someone with a lot more experience than me, who has experience about what you can ask for and expect from a venue. We also had a lot of support from the venues, and from MCD who co-produced the show when it was on in the Olympia. It was still a steep learning-curve for me, but one I embraced and enjoyed immensely. I also got to work on a show that I really enjoyed. The show made me laugh every night throughout the tour and I was happy to nag friends to come along to see it because I knew they’d have a good time. As a single lady I have a stake in the subject matter, and that helped too. I’m a bit of a cynical romantic and the show suits my temperament. There are are some happy stories but it’s not a “love conquers all” kind of show. It’s more of a “love somehow manages to barely survive despite everything” type of show – there are a fair few cynical moments. I went to a friend’s wedding a week after the Olympia run. All the talk in the church about life-long love and people spending their lives together as a joyful journey felt a bit jarring after all the singlehood chatter that had filled my life over the previous weeks! Though the message really the same – love is rare and precious, celebrate and cherish it. Our 12-date tour visited five venues over three months, from the beginning of September to the end of November. We started in the Naughton Studio in the beautiful Lyric Theatre in Belfast. It was the first time the cast has performed the show in about a year and a half, and PJ Gallagher’s first time performing the show for an audience. We had two fantastic sold out shows, with lovely generous audiences – and the tour had begun! Next stop was three nights in the Olympia which, size-wise is at the other end of the scale entirely. 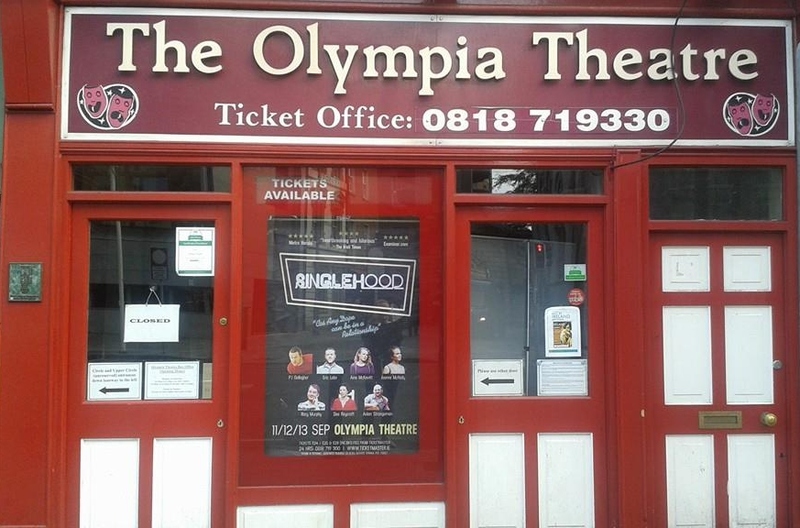 The Naughton is a small, studio space that seats 120 – the Olympia seats 10 times that many! It was a blast to work in the Olympia for the few days and have so many people see the show. We spent the October bank holiday in Galway, performing two nights at the Town Hall Theatre as part of the Vodafone Comedy Carnival which was a lot of fun. The final trip was to Cork in mid-November for three nights at the Everyman – another great, old-style theatre. Very like the Olympia on a slightly smaller scale. Finally there was the home-coming gig – two nights in the Pavilion in Dun Laoghaire. 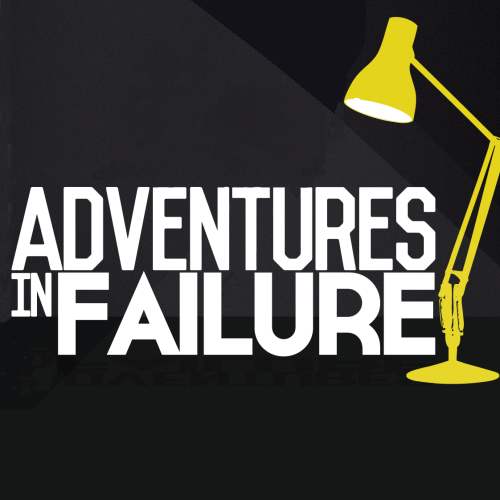 I am currently working on a show called Adventures in Failure. It’s a devised physical piece with three wonderful performers and a talented and enthusiastic team behind it. I’m enjoying working with great people, who are all working incredibly hard to make this piece of theatre. As producer, one of my jobs is to make sure we are able to pay for the production. Everyone is working for free (or “profit-share” as it is also known), but we still need to cover the cost of the venue, rehearsal space, set, costumes and publicity. We all want to make a great show and we want it to find an audience. So I find myself running my first ever Fund:it campaign. And I am finding it an interesting challenge. I read lots of articles about crowd-funding before we launched our campaign. This one from PBS is my favourite. It contains the warning “Crowdfunding is not a walk in the park. Unless that park is covered with broken glass. And a lion ate your shoes at the entrance gate. And he is now chasing you.” I did not go into the campaign expecting it to be easy. It’s hard convincing people to part with their hard-earned cash – we all have less of it these days. I’m aware that we’re not trying to cure cancer or buy equipment for a children’s hospital. We’re trying to raise money to make art, and art that will only exist inside the theatre for a few hundred people. We won’t have a CD or DVD to give you at the end of it. So that’s a challenge. Crowd-funding is exciting because suddenly the list of potential funders is much longer than just your friends and family. However when you’re trying to convince people to give you money, that personal connection is a big part of why people fund you. The projects I’ve contributed to belonged to people I know, even if I only know them through their work. When Amanda Palmer raised over a million dollars for her album on Kickstarter, a friend in the music industry made the observation that generally the artists who raise a lot of money via crowd-funding have already had success with the old model. Having a dedicated fanbase in place definitely helps any crowd-funding campaign. One of my worries is eroding the audience’s goodwill. I don’t want to badger people to the point where they’re already fed up of the show before it even opens. The advice for avoiding this is to offering your audience something – provide them with entertainment or information, don’t just always be asking for money. But can you carry this too far, to the point where they don’t even realise that you are asking them for money? Online, where so much is available for free, how will people know that I’m looking for money if I don’t ask them? Despite my concerns, despite all my research prior to launching the campaign, I was still surprised and delighted by people’s generosity. It’s lovely to feel that people believe in you and the work you’re trying to create. Every donation feels like a wonderful, encouraging gift! Right now, with 8 days left of the campaign and over €1500 still left to raise, we still have a long way to go. But I have faith that we will cross the finish-line. And if you are in a position to give us a hand, here’s our Fund:it page.